Crafting a delicious collateral suite for a signature DC event. 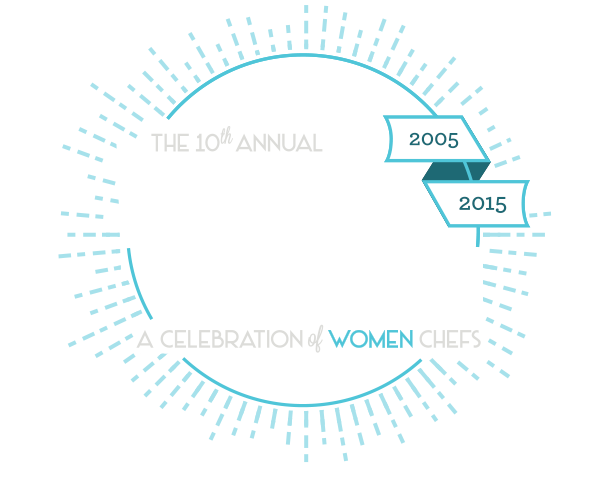 The 10th annual Turn Up the Heat gala hit an important goal in 2015—passing the $2 million mark for funds raised through the event over the last decade. 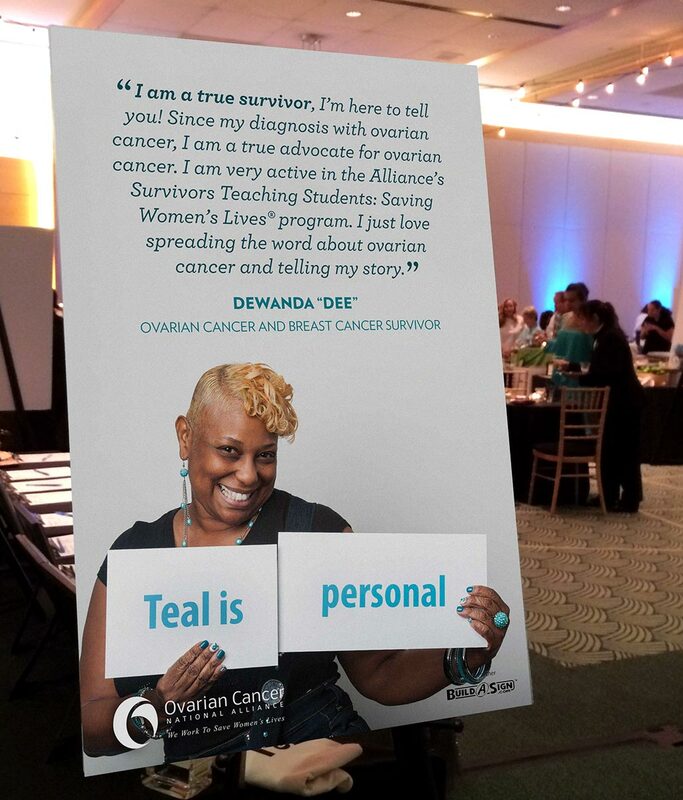 We were honored to work on this important fundraiser, and gave it a new identity that we carried through the invitation suite, program, and signage. 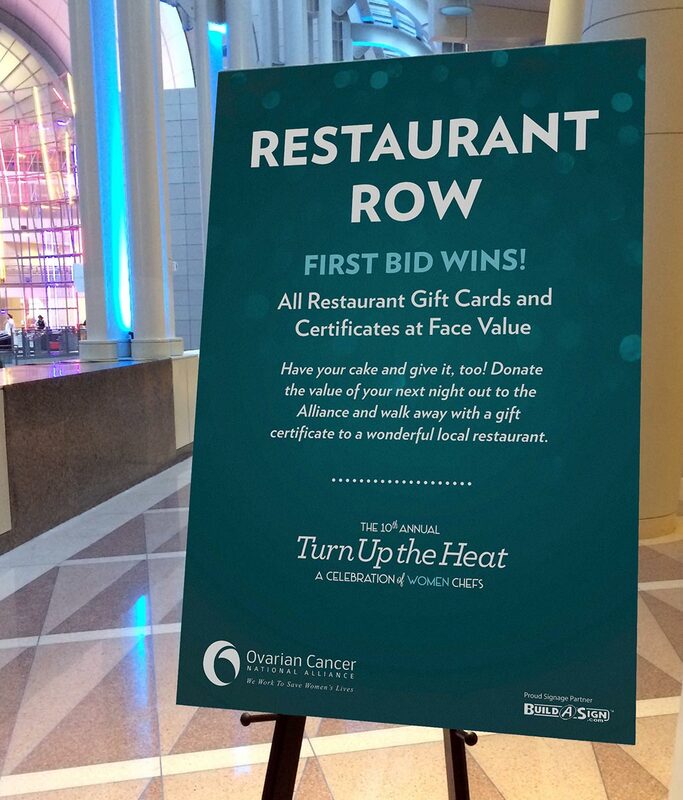 The 2015 event had more attendees than ever – over 400 – as well as over 60 chefs and mixologists coming together to support this important cause. The event raised $228,927. 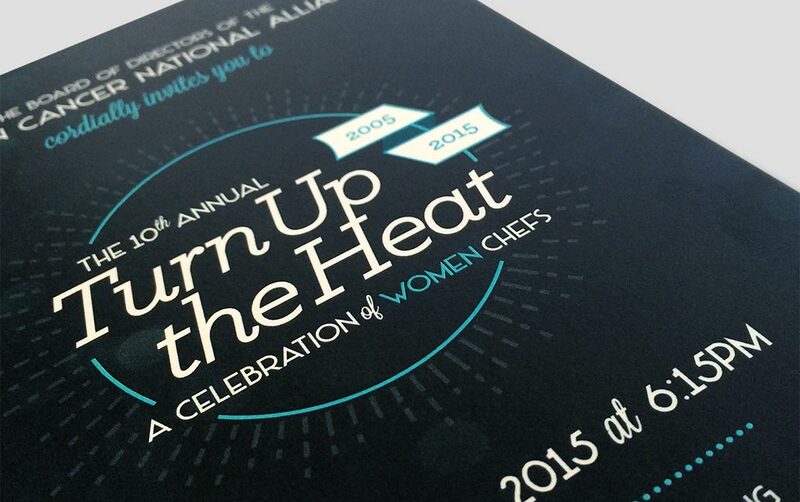 We crafted a logo for the event that can be used for years to come, pulling inspiration from a gas stove burner. 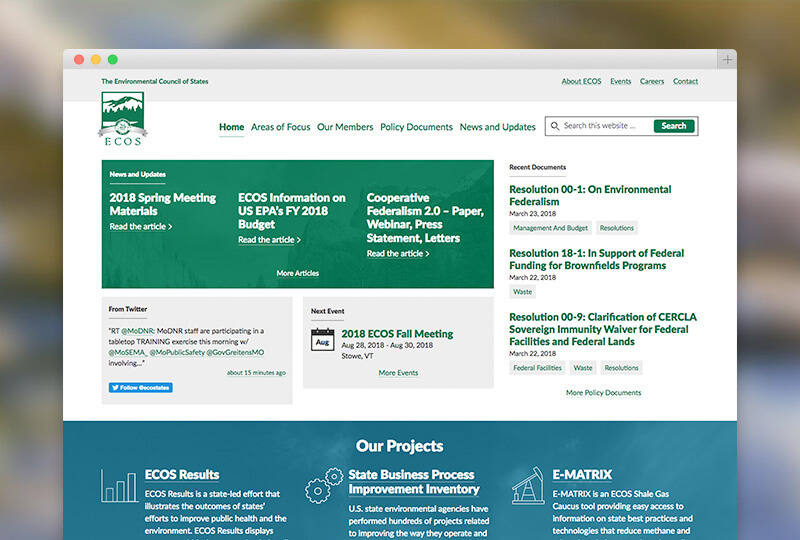 We used dark colors and OCRFA’s main brand color, teal, to create an elegant yet fun tone. We had the invitations and program cover printed on Neenah Stardream paper to supply the shimmer to match the feel of this glitzy event. Throughout the hall at the Ronald Reagan Building and International Trade Center, signs directed guests and highlighted survivor stories. 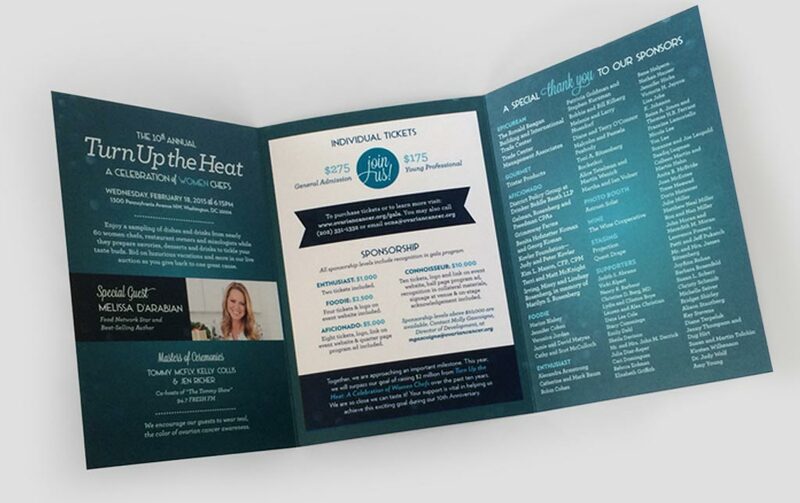 We designed these down to the last detail as well, so that every part of the event felt energetic and empowering. Taking a website from a quagmire to a clear stream. Mal Jones, a wife-and-husband team in Alexandria, VA creating awesome design for awesome clients.